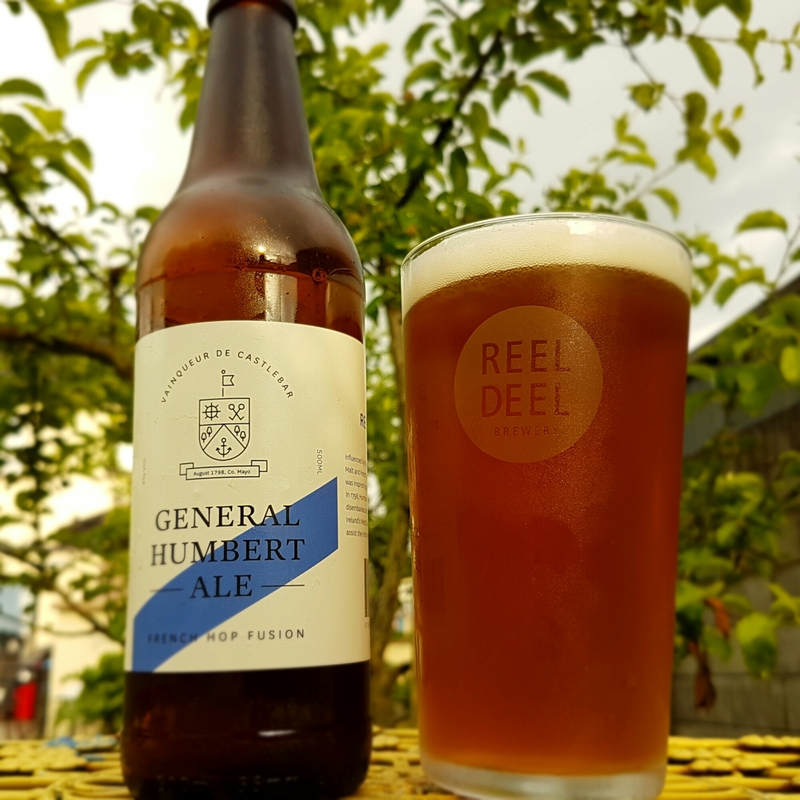 General Humbert: He’s the Reel Deel | Simon Says… You really should drink this! 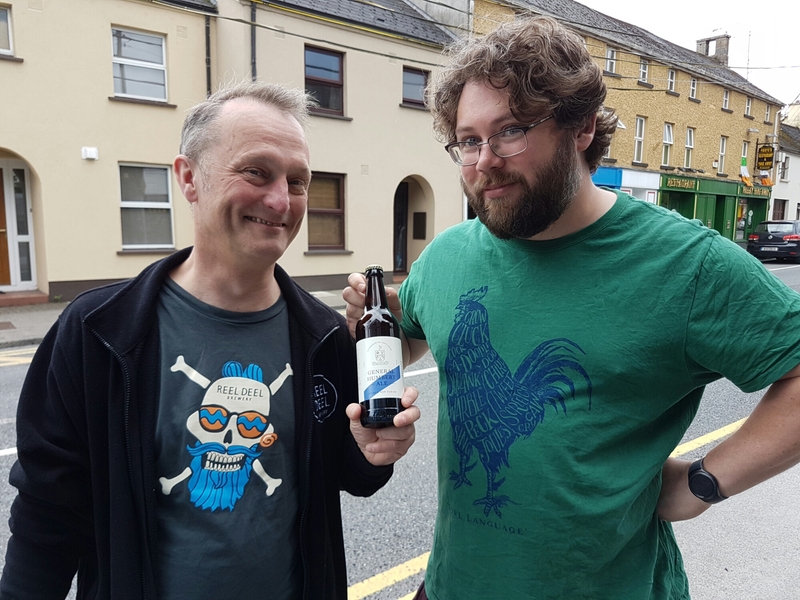 I met Marcus Robinson this morning in Moate for coffee and he had a little surprise for me, a brand new Ale! General Humbert Ale is the name of this new brew. And as history fans will already know, the French man founded the first Irish Republic, the Republic of Connaught. I’ll tell ye folks there’s nowt as bad as being subjected to a lesson in Irish history by a droll Yorkshireman at eleven in the morning. Reel Deel’s graphic designer has gone for a more subtle, refined style of label art this time round, this may appeal to a more mature drinker. If you’re not familiar with Reel Deel’s usual stylings then check out Marcus’ T shirt in the first picture. The beer is brewed with an Ale yeast but it has been lagered. Lagering just means storing the beer at a cooler temperature than you would say, an Ale. The beer is brewed with French hop Strisselspalt, a new one to me, it gives the beer a subtle floral aroma. This is a really good session Beer coming in at a nice even 4%. It’s got a helluva lot more flavour than some other beers you may have experienced which are brewed in a similar fashion. Yeah, you know the one I mean. If you see this one on the shelf of your local pub or off licence you should pick up a couple of bottles. One isn’t enough. Sláinte! This entry was posted in Uncategorized and tagged Ale, Beer, history, hops, lager. Bookmark the permalink.